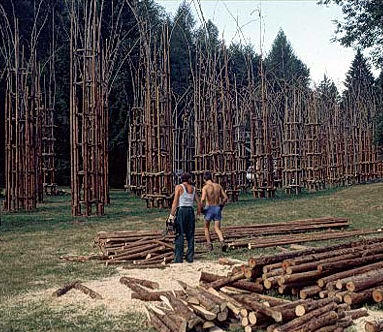 Arborsculpture is the art and technique of growing and shaping trunks of trees and other woody plants. 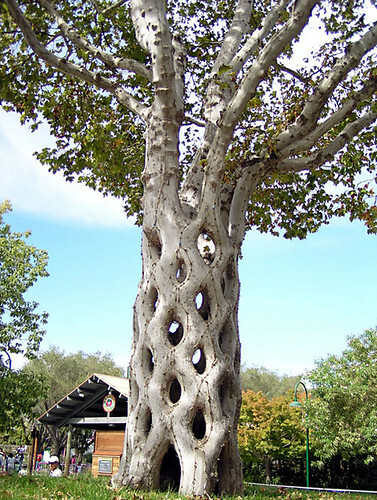 By grafting, bending and pruning the woody trunks and or branches are grown into shapes either ornamental or useful. Even though I've seen "tree sculptures" before, I didn't realize the extent to which some people have taken to creating expressions through nature this way. And don't mistake arborsculpture with other methods of growing or training trees, such as topiary, espalier, pleaching, and bonsai. 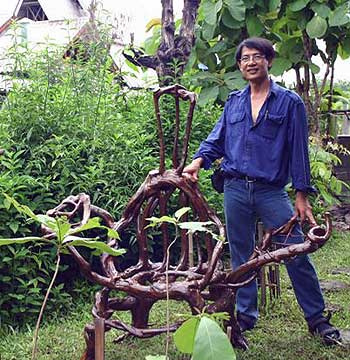 Arborsculpture is focused on bending and grafting to create the desired effect.